Jessica Rabbit sits at the Walt Disney Studios gate in Buena Vista. This special pin was a membership exclusive to D23 members only. 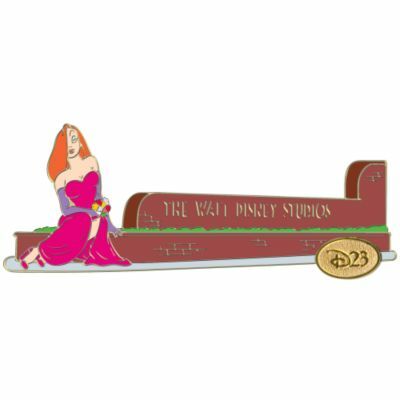 The D23 logo at the bottom of the pin is gold and unfilled.